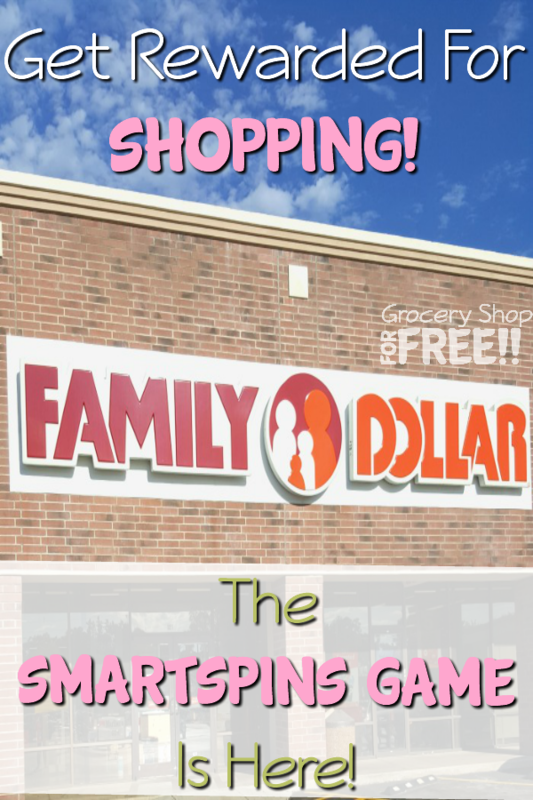 Family Dollar's New SmartSpins App Game! 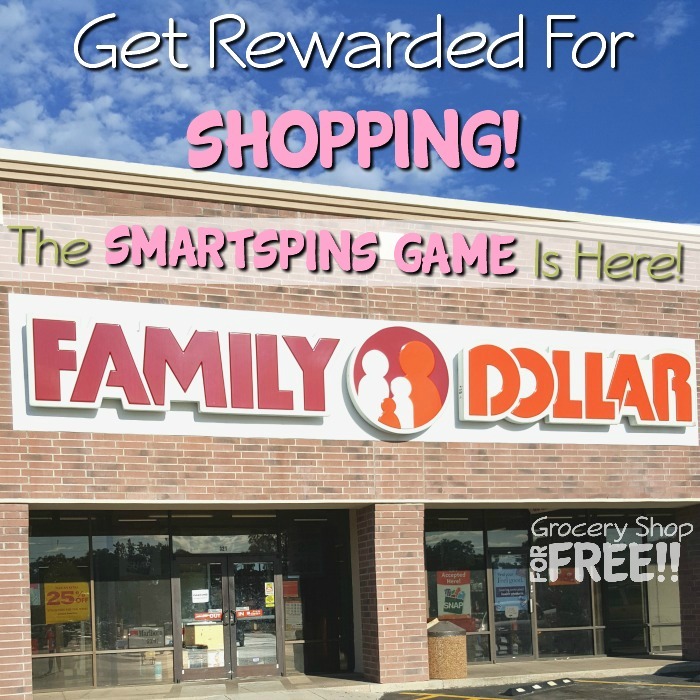 You are here: Home / Great Deals / Family Dollar’s New SmartSpins App Game! Family Dollar’s New SmartSpins App Game! 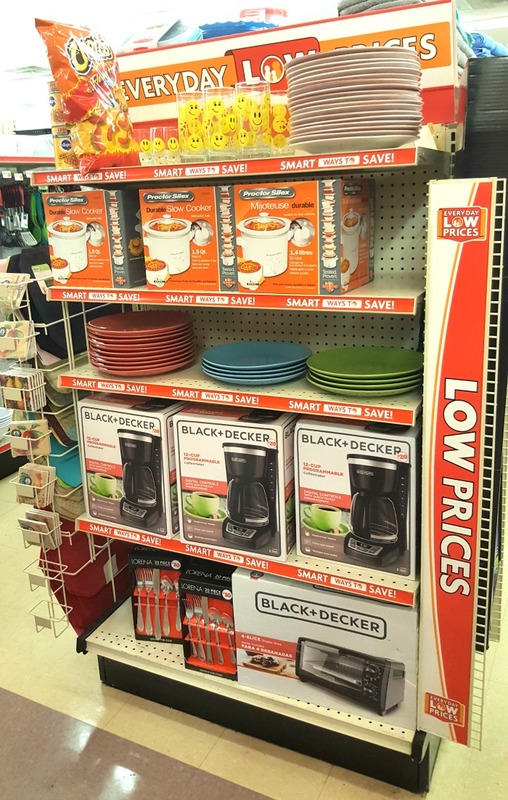 When you’re in need of great deals on things you use every day Family Dollar is the place to go! PLUS, Family Dollar just launched a new app game that rewards you with Smart Coupons chosen for you when you shop. 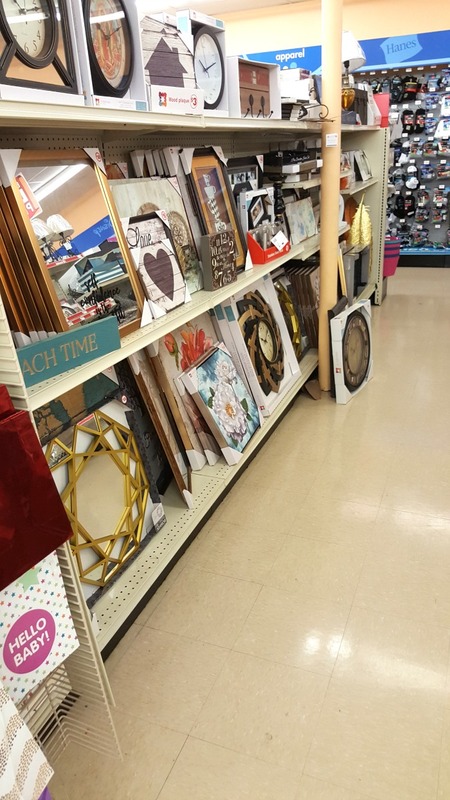 Family Dollar is one of my favorite places to shop. There’s always a great deal on most anything I need and there is always one close to where I am – even when I travel! I love that they have so many different sections in a smaller store to make it much easier to run in and grab what you need and be back out again in a hurry. They even have clothes, shoes, and make up! It’s the perfect neighborhood store to drop in and grab last minute nail polish, snacks for a trip, clothes for the kids, or you! I also love that I can run in and grab a last minute gift and wrapping items, or even party decorations! 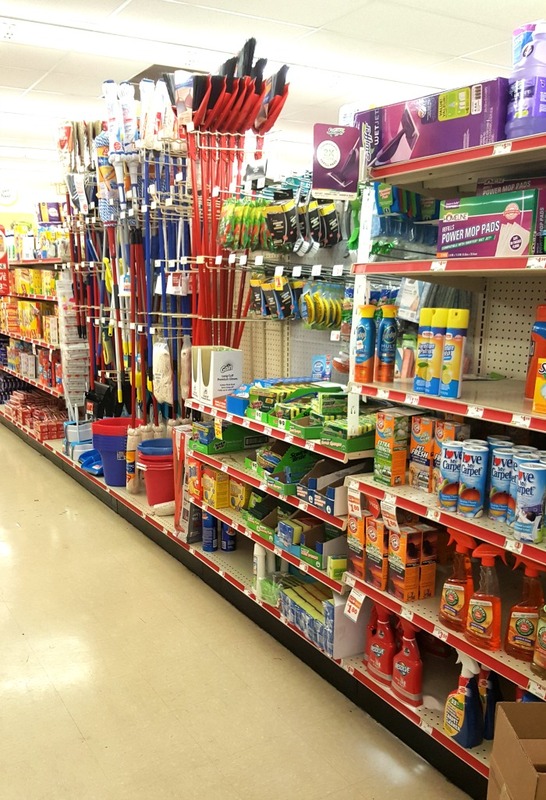 Family Dollar is also one of the first places I go when we are setting up new housekeeping. Whenever we move I make sure to grab supplies and a few new home decor items, as well as new shower curtains, towels, bedding – I am telling you they have it ALL! 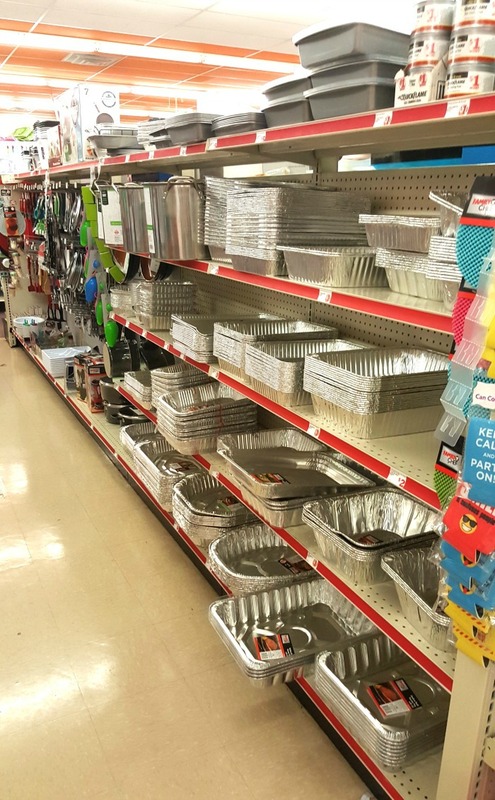 When there’s an upcoming holiday you can find cute, fun items to decorate with, and I ALWAYS stop by and grab aluminum pans for big occasions. They have a great variety and supply. 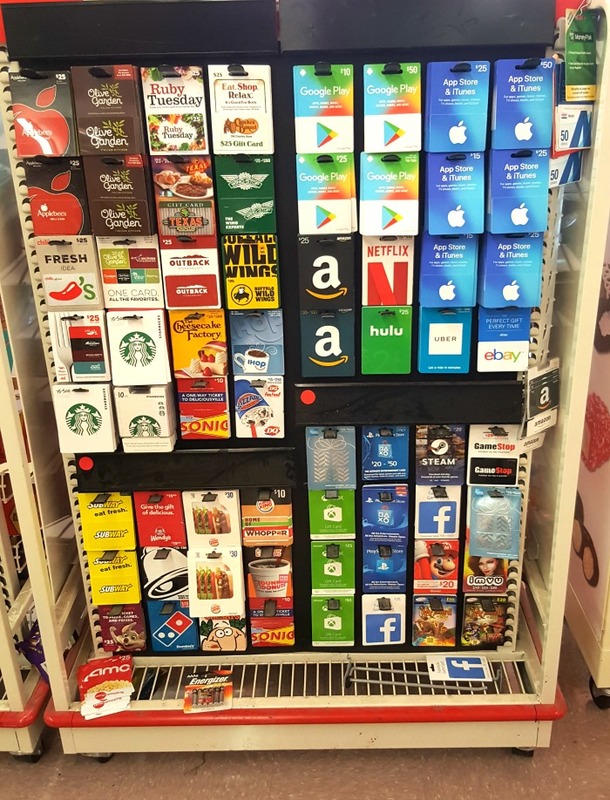 Did you know they have a supply of gift cards for gift giving, too? Well, they do! Whenever I visit my local store, I can’t help but check out the whole store! I might go in for one or two items, but, I KNOW I will miss a great deal if I don’t take a few minutes and check everything out! Also, I ALWAYS filled my kids stockings each year with Family Dollar items, I found the best stocking stuffers and they were always cost effective! 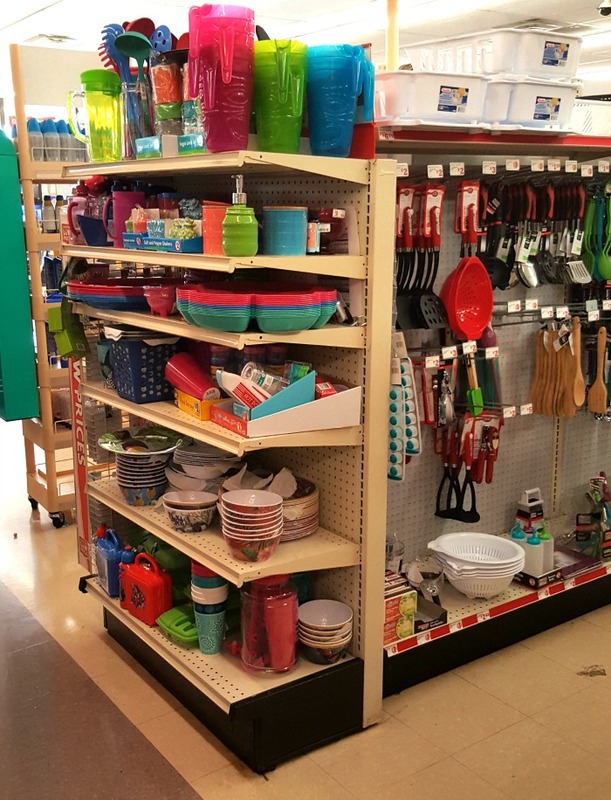 You can shop any occasion, too, from Back To School to Baby Showers – you’ll find it all at your neighborhood Family Dollar store. 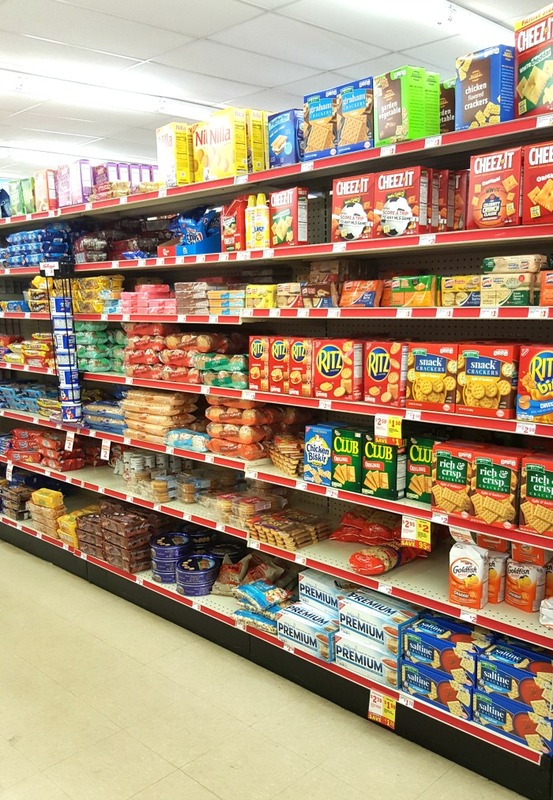 If you want the best value for your buck, you can find it at Family Dollar. Most items are priced below $10 and there are even items valued at $1 or less! Have you downloaded the Family Dollar app on your smart device, yet? It’s awesome! 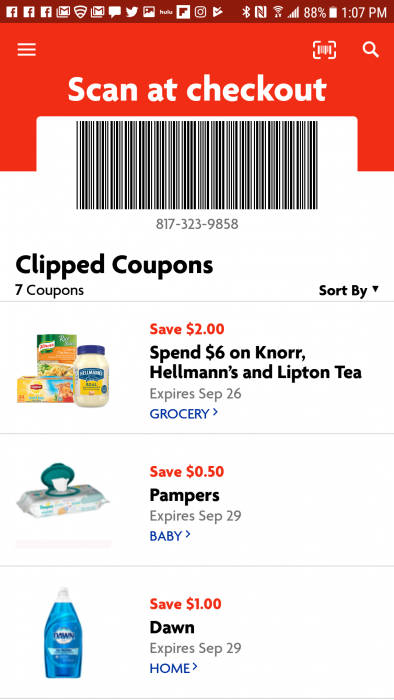 It has all the Smart coupons you’ll need, you just clip them on your device and then at checkout you show your cashier the barcode in the app and they will scan it for you and it takes all of your coupons off! How easy is that?! PLUS, my VERY favorite feature of the app is the barcode scanner. I HATE to miss a deal, so Family Dollar has a feature built INTO their app that let’s you scan the barcode of the items you’re purchasing (or thinking about purchasing) and it will tell you if there’s a deal to be had! SO SIMPLE! 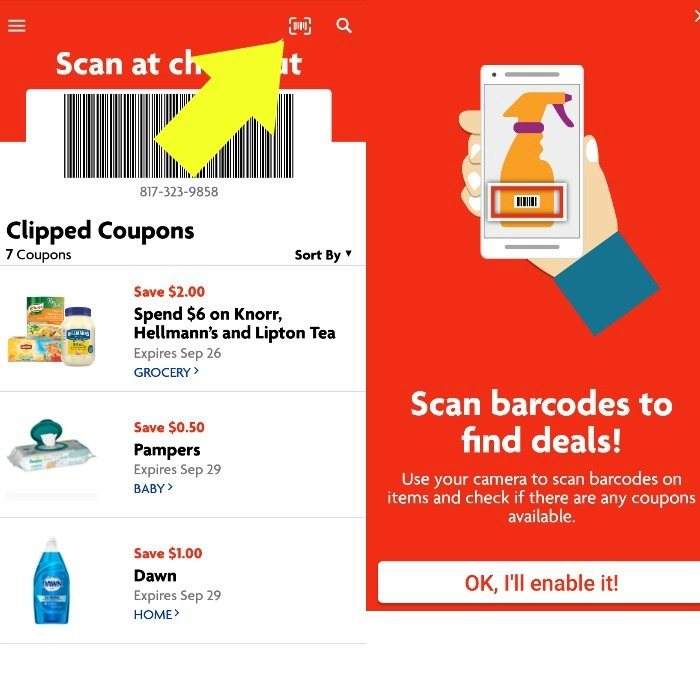 PLUS, if you’re unsure of whether you have purchased the right product for the coupon you have chosen in the app, just click on the coupon in the app, then click on the scanner in the app, and scan the barcode and it will tell you if it matches the coupon! No more confusion at the register! Here’s how to find the barcode scanner in the app, just click the icon the arrow is pointing to in the image below and you’ll be taken to the barcode scanner. Once you give it permission to use your phone to take pictures (so it can scan items for you) you’ll be on your way! I thought shopping at Family Dollar couldn’t get any better, but then they introduced the SmartSpins app game! Which is awesome – they’re rewarding you to shop there! I LOVE it! 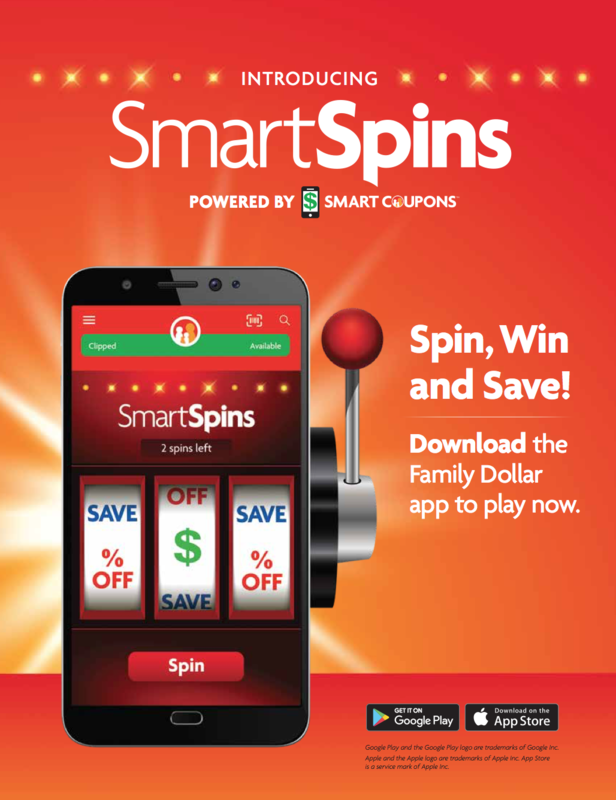 SmartSpins is the new app game from Family Dollar that rewards you every time you shop! Every time you shop at Family Dollar, you can earn one spin a day to win Smart Coupon savings chosen just for you. Using SmartSpins is quick and easy: Just check out with SmartCoupons to earn a spin in the app game! No more coupons to print and cut! Once the cashier has scanned the barcode in your app for the coupons to be applied to your order, check out and the app will give you a spin! It will show you in the app that you have a spin available to you, AND if you forget it will also send a push notification to your mobile device reminding you that you have a spin! Then you open the app, spin, and WIN! It’s that simple, and again, they reward you to shop there! I was thrilled the first time I used it! It’s so simple! To learn more, visit the Smart Coupons or App page on the site to sign-up You may also download the Family Dollar App directly on your Phone. Remember, you must have a Smart Coupons account and have the latest app version to be able to use SmartSpins.